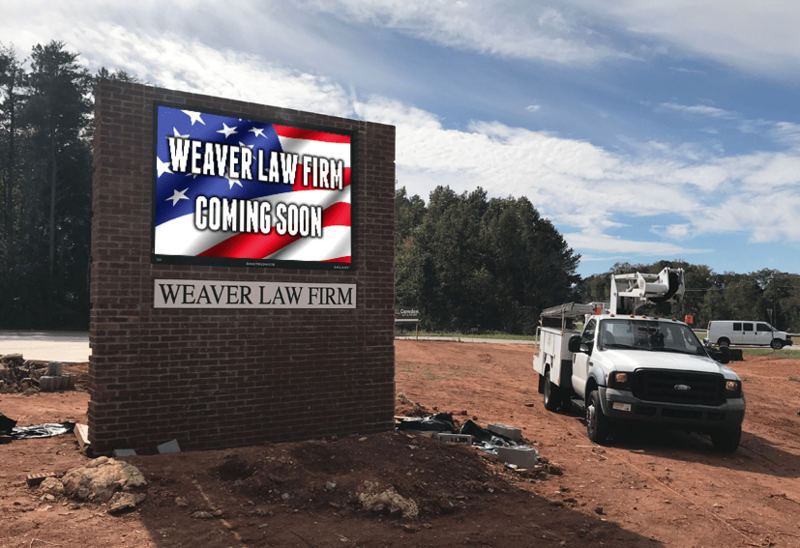 We recently completed a Full Color LED Sign Monument Project for Weaver Law Firm! 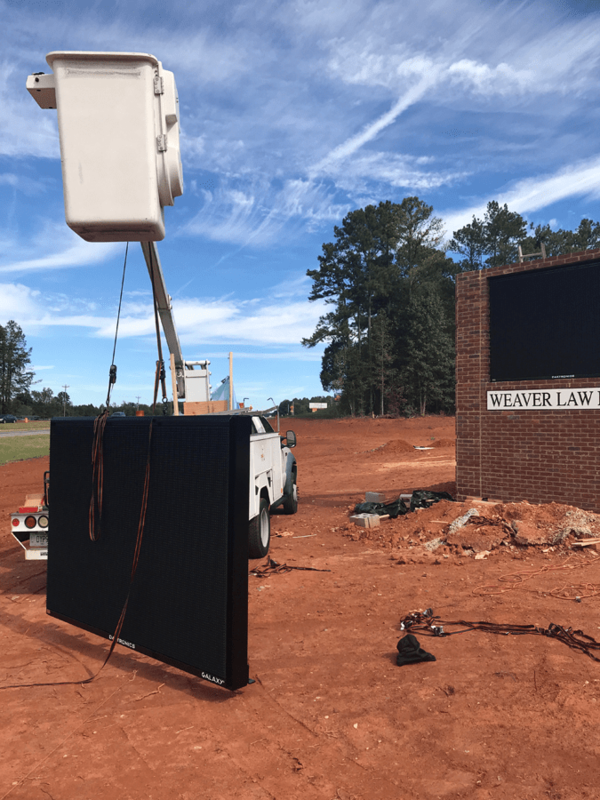 This law firm added a new satellite location in another City, so we integrated a Daktronics LED message board that allows programming all locations from anywhere. Pretty cool! 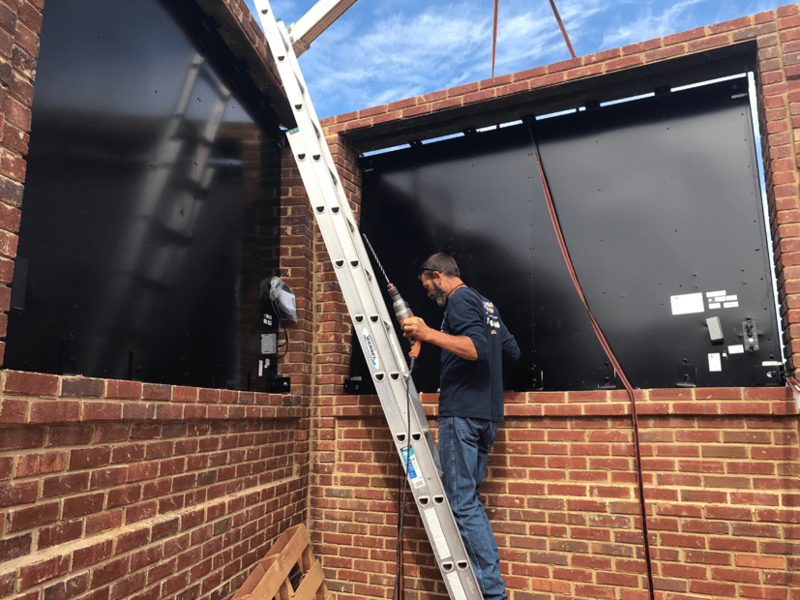 We worked remotely with the clients’ brick mason, both low and high voltage electricians, and GC (general contractor) to arrive at these fantastic results! Complete our Contact Form to request a quote on your upcoming monument sign project! Our team is a collaboration of artists with decades of experience in the dimensional signage, electronic LED and sign monument industries. You will get your custom sign monument project suited to your needs! We will provide you with the most dynamically designed signage solution. 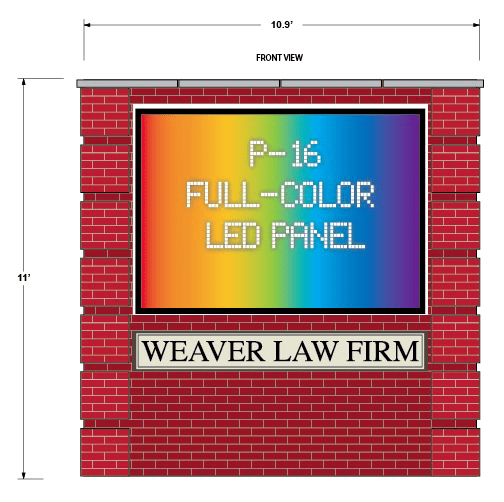 We will help you to brand the individuality of your company or property with changeable electronic LED message panels. Our custom full color LED sign monument project solutions provide a sense of distinction and permanence to your property. Our outdoor signs and monuments are the style most desired and required by municipalities nationwide for an all over better looking community. With over (2) decades of nationwide success, we will make You Look Your Best! This entry was posted in Commercial Signs, Completed Sign Projects, LED Sign Projects, Monument Signs, Sign Design by BSM Staff. Bookmark the permalink.